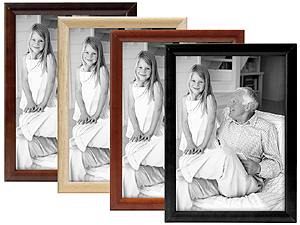 An attractive, clean-lined, simple 4x6 wood frame with a slim rounded profile. Comes ready for wall mounting. Includes glass and backing and a pullout easel. An attractive, clean-lined, simple wood frame with a slim rounded profile.